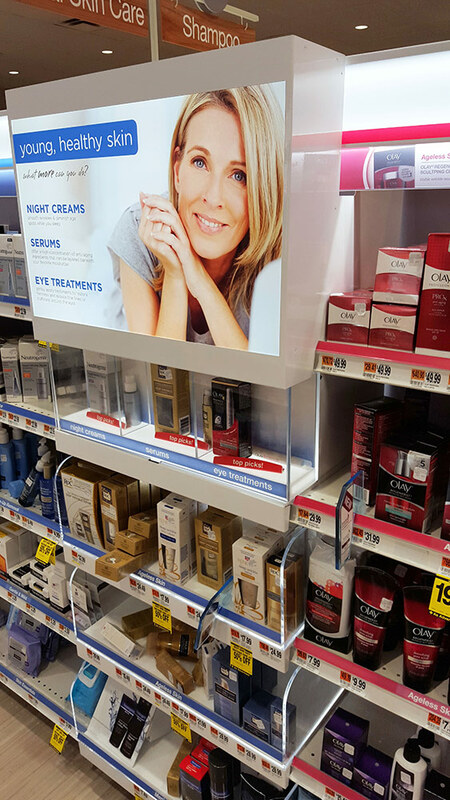 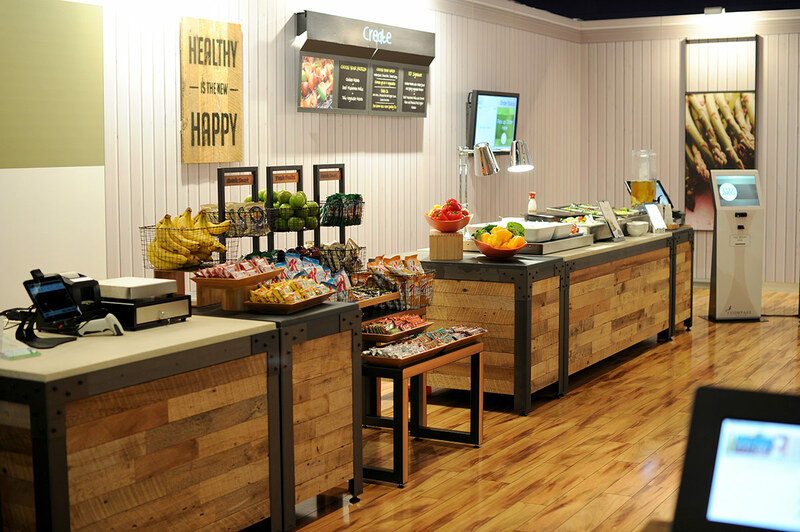 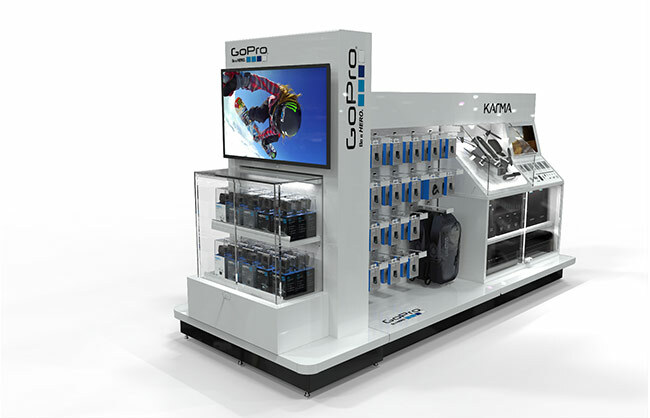 Our job is to help our client’s brands more relevantly and successfully engage consumers at the point of sale. 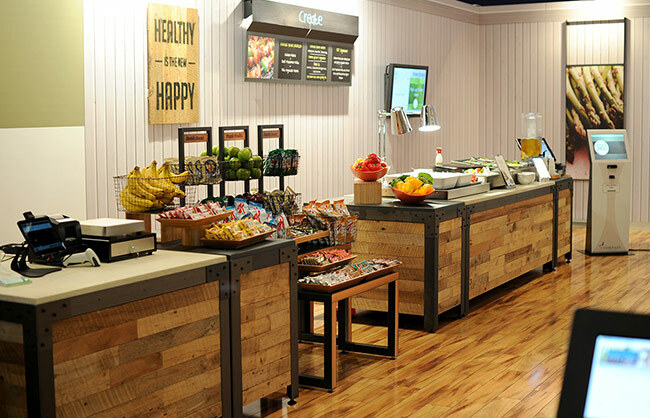 We focus on creating “yes” in the hearts and minds of customers who are bombarded with a bewildering number of choices and who will give us only 3-7 seconds of their uninterrupted attention. 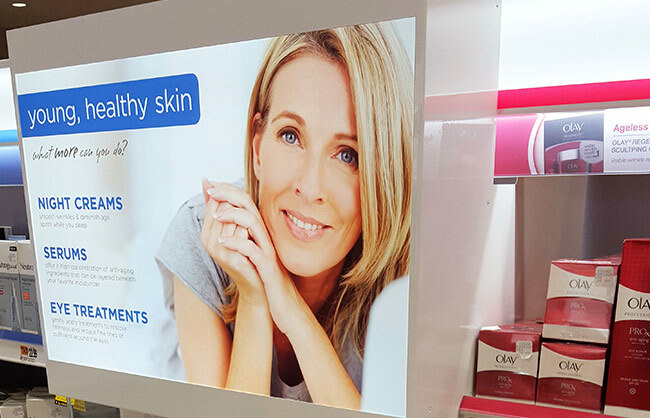 AMD was tasked to design a display that will push the limits of the status quo in order to create a more impactful In-Store experience. 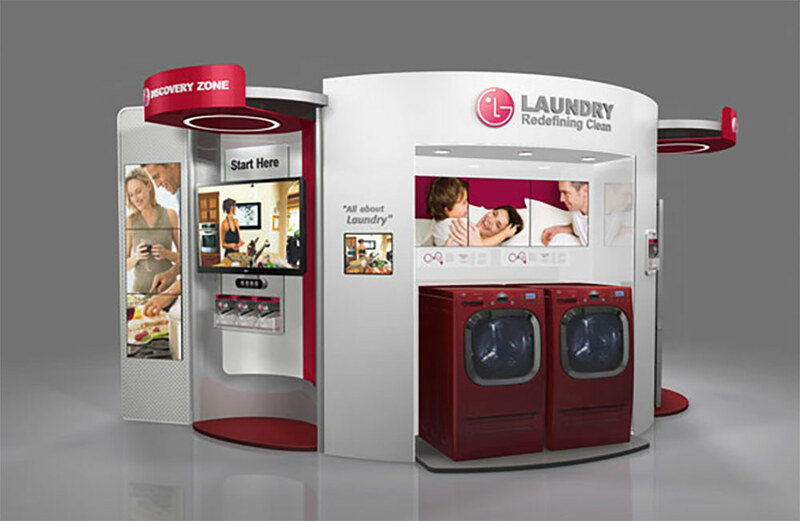 Leverage past success in similar channels to bring brand consistency. 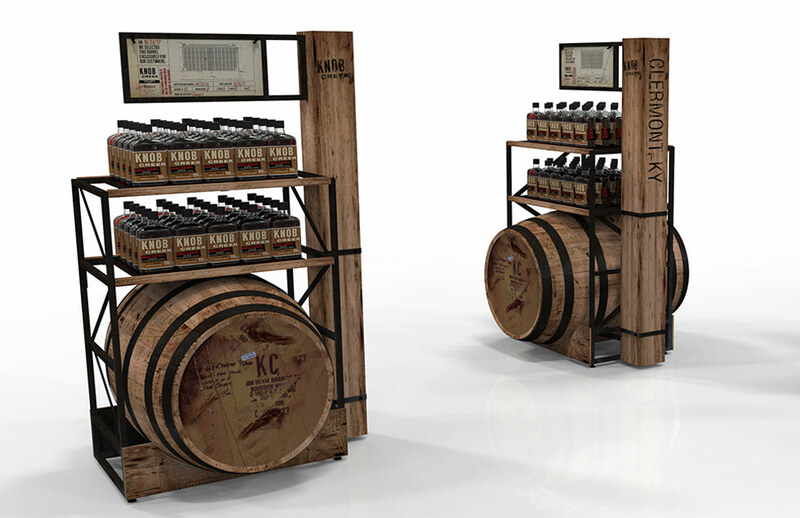 Knob Creek was in need of an engaging display that promoted their private barrel program with distributors in the field that tied into the look and feel of their distillery. 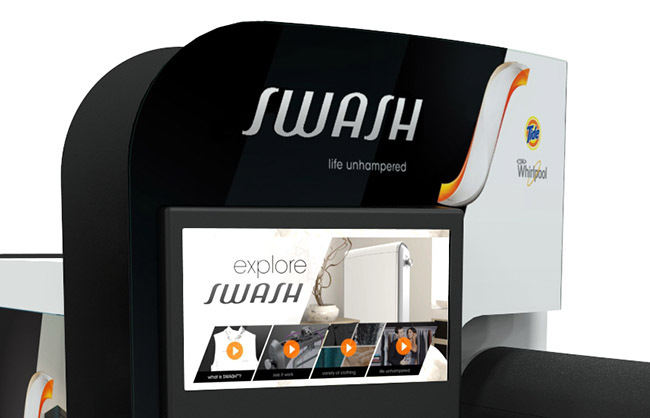 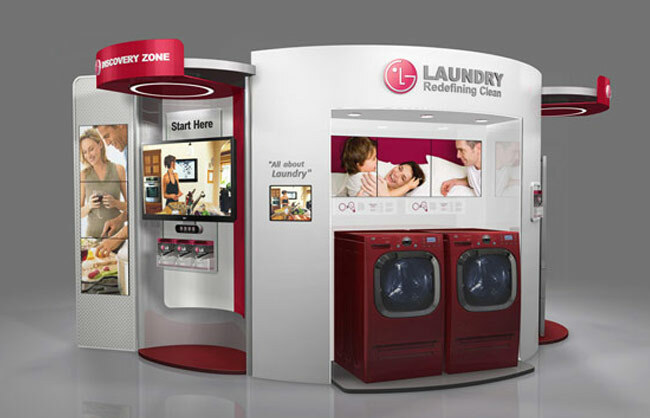 Nationwide launch of a revolutionary laundry system introducing not only a new product, but creating a “third space” of laundry as the microwave did for cooking. 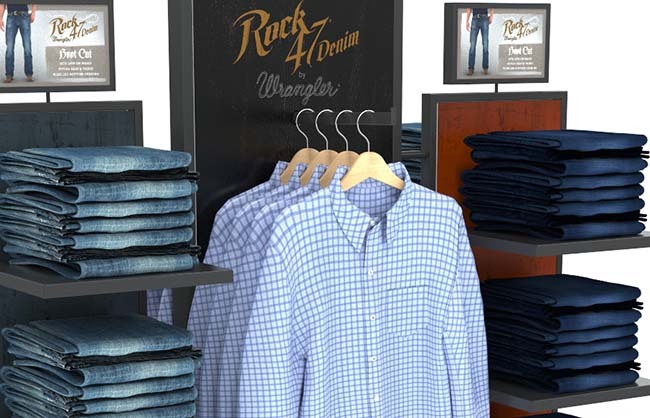 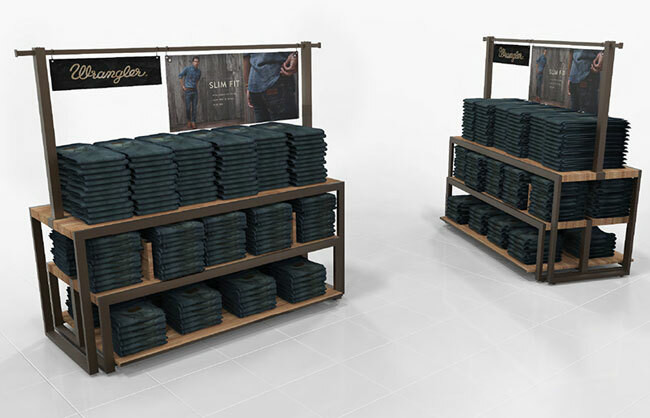 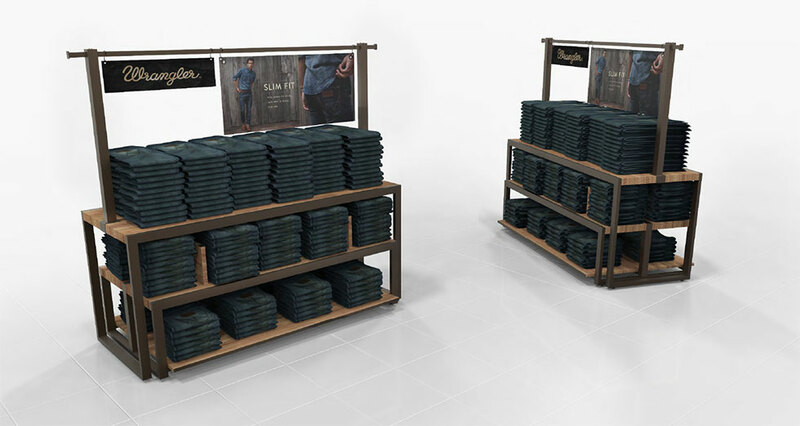 Wrangler wanted AMD to design a jeans and shirt display fixture appropriate for the introduction of the Wrangler line at 50 Macy's locations. 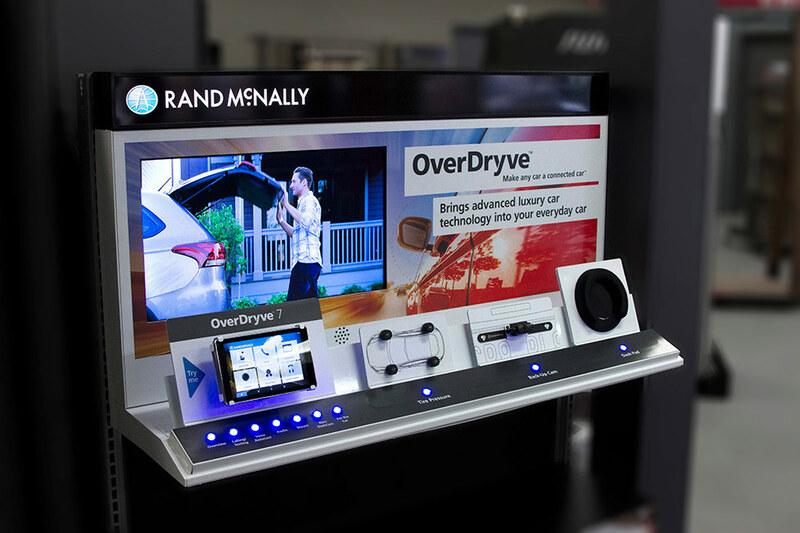 Rand McNally introduced their new product OverDryve, which makes any car a connected car. 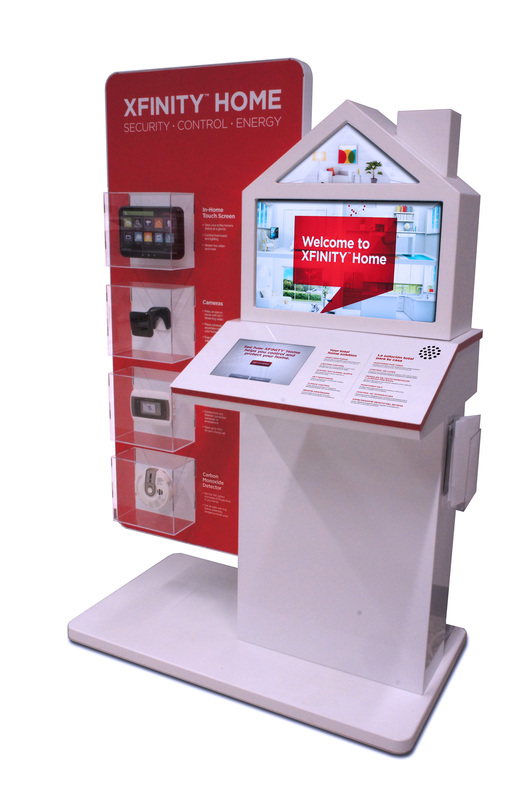 AMD was tasked with creating an interactive consumer electronic end cap display featuring a monitor, tire pressure gauge, rear view camera and dash pad. 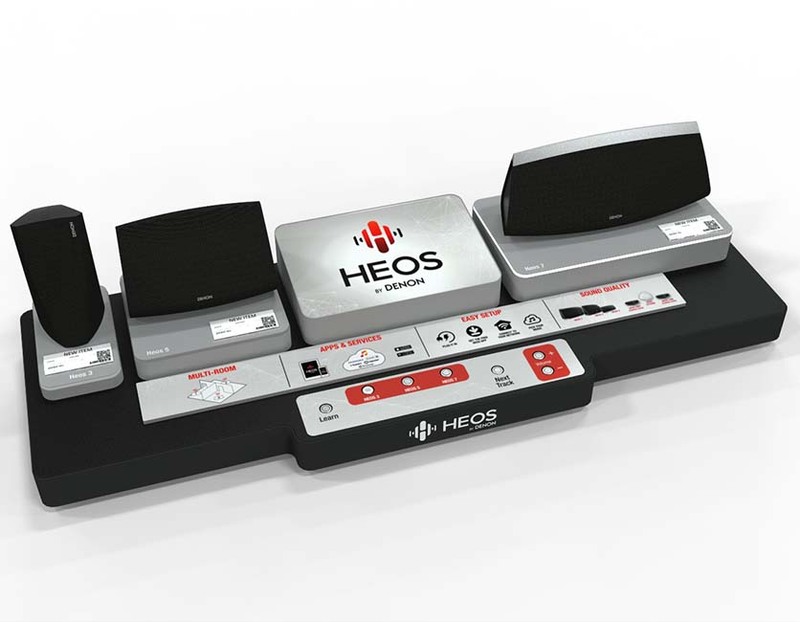 Denon Heos asked AMD to design an interactive display to showcase two independent sound experiences demonstrating the Heos ecosystem. 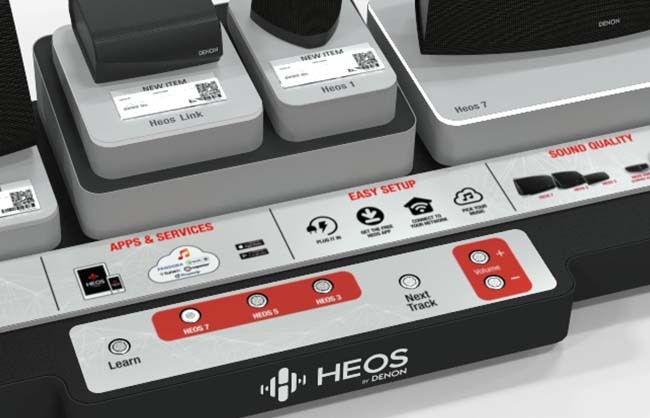 HEOS is a wireless music system that allows you to control all your music effortlessly from anywhere in your home. 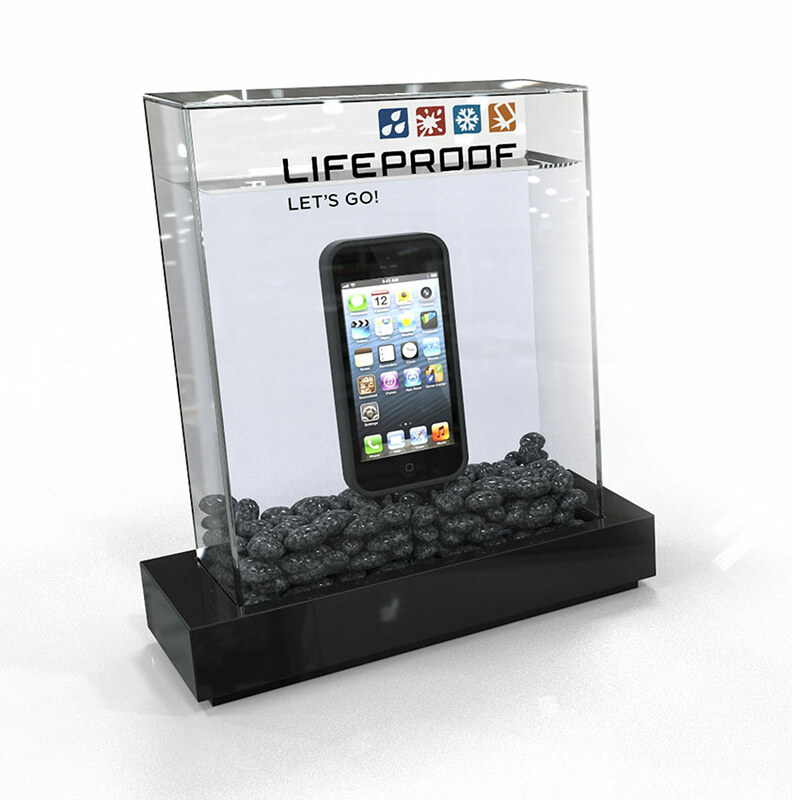 Lifeproof's Splash consumer display targets the active lifestyle community of Otter Box customers. 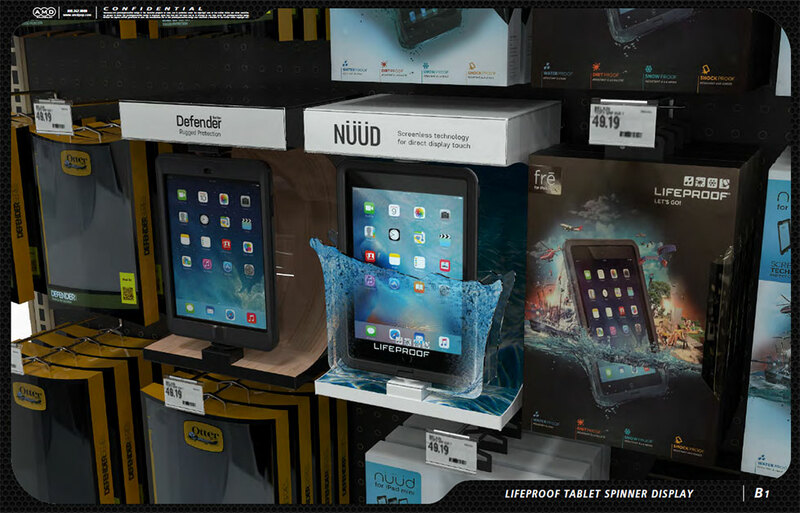 Rolled out to 1500 Targets, The Lifeproof Splash is an acrylic dye cut pocket holding an IPad with a background graphic that mimics a splash with waves in an ocean. 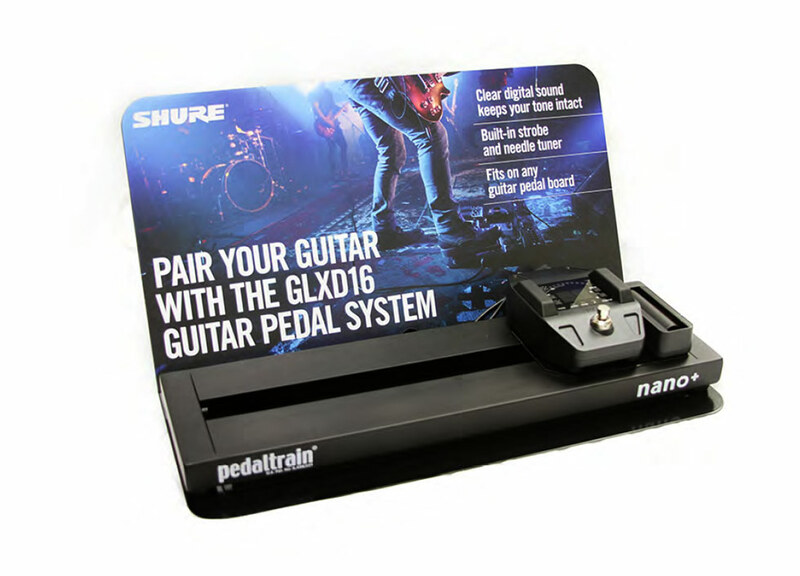 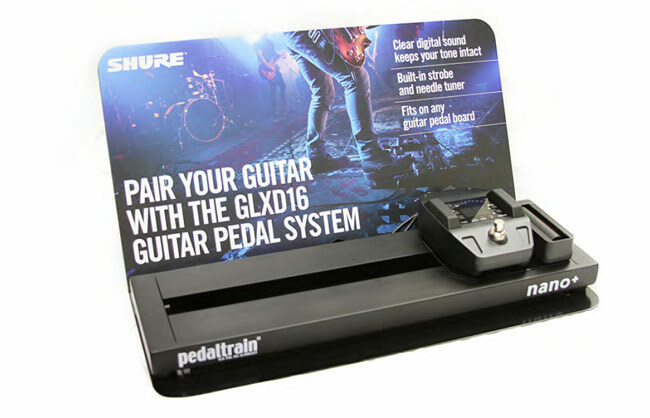 Shure collaborated with AMD to design a consumer display which showcases how the guitar pedal works. 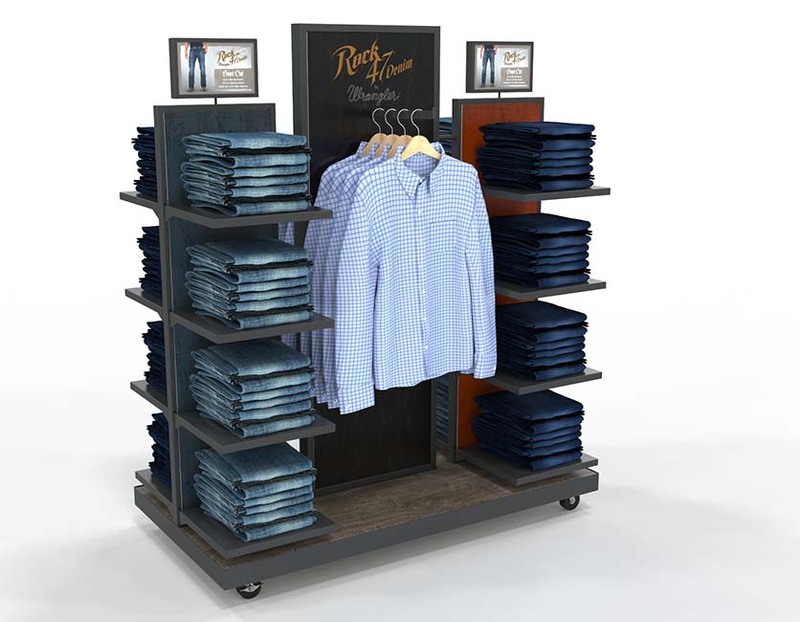 Made from a bent steel frame and a replaceable magnetic print to allow the display to be expanded to other products in their line. 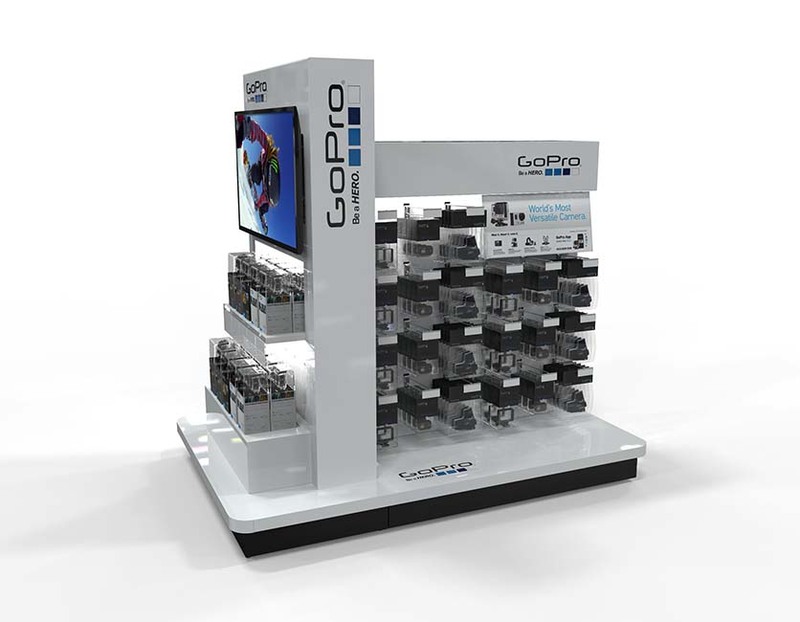 Otter Box asked AMD to design a modular display for their number one selling smartphone and tablet cases. 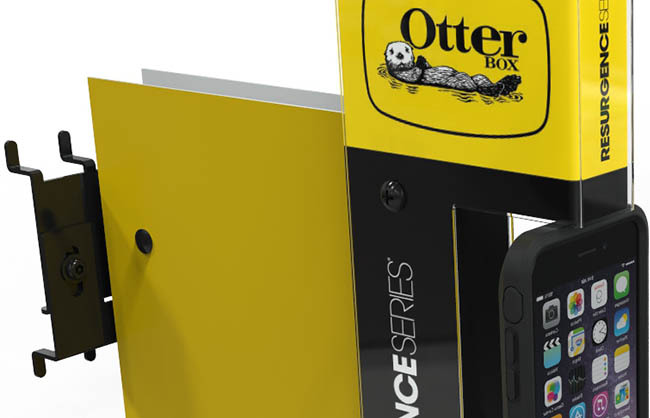 Inline with securing product, it was crucial to understand the consumer experience and their interactions with the product when designing the Otter Box display. 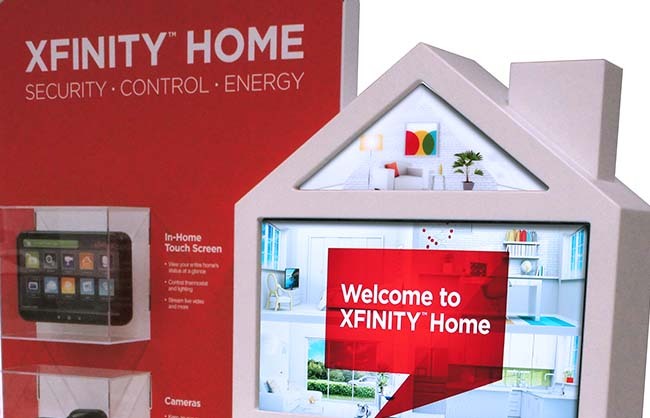 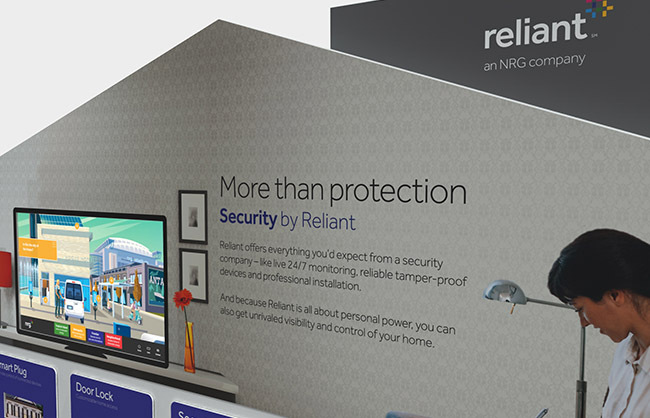 AMD designed, engineered and produced the Xfinity Home interactive kiosk to introduce and promote the features and benefits of Xfinty Home – an integrated whole home security system. 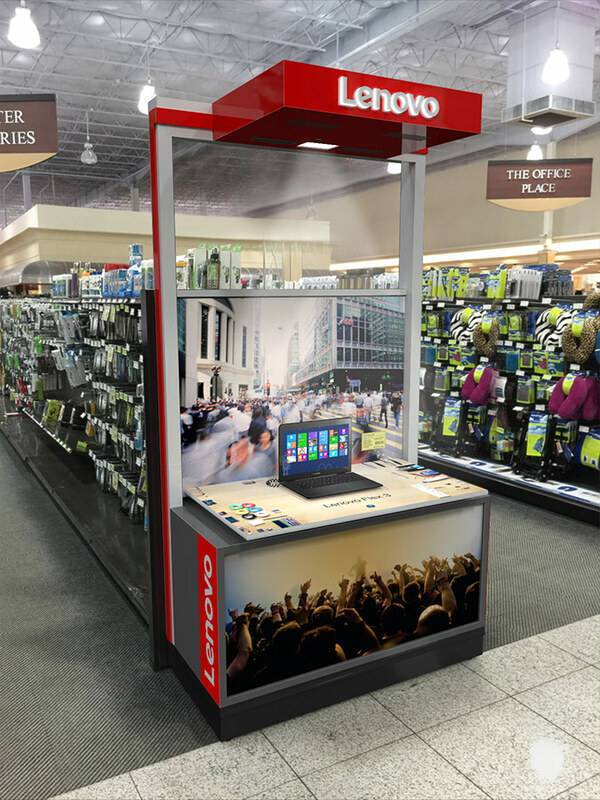 The objective was to encourage shoppers to sign up for the service on the spot. 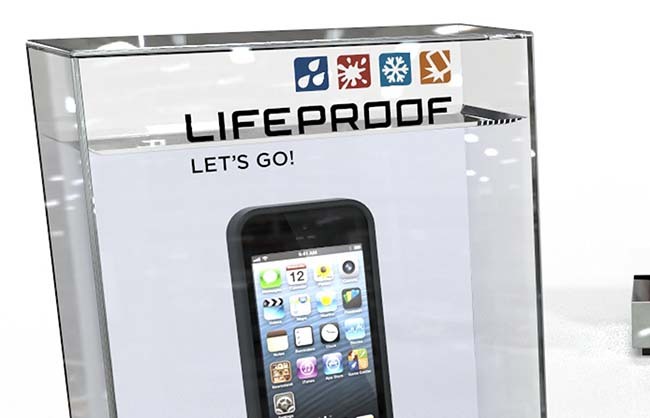 AMD was tasked to design a display for LifeProof showcasing their water proof cases and accessories in action. 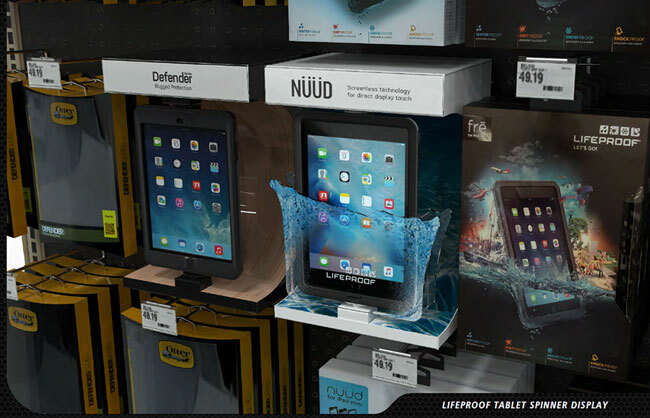 AMD built a fish tank display to hold real water and demonstrate how the product is actually used. 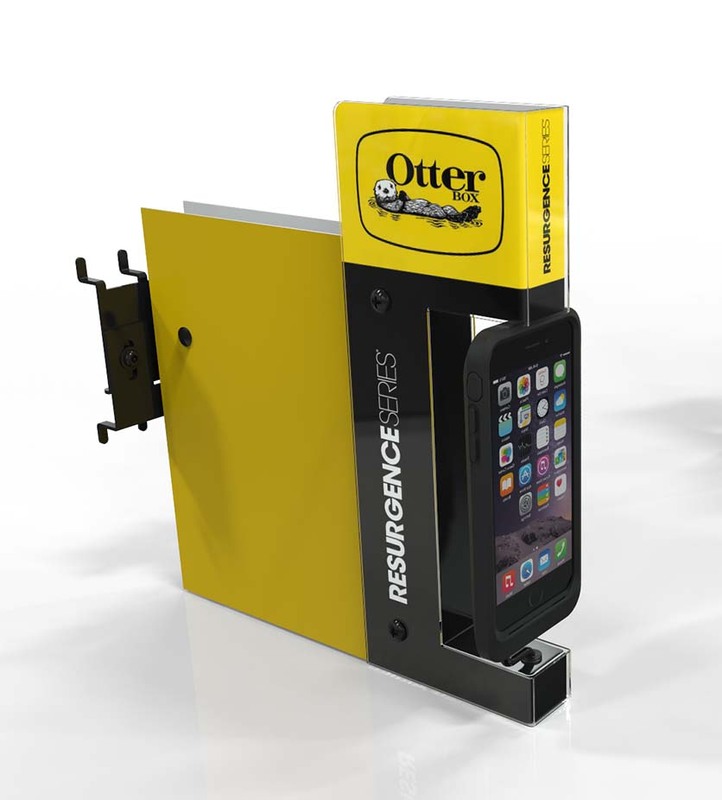 A magnetic bracket attachment allows for the phone to be updated and the acrylic display can be branded as needed. 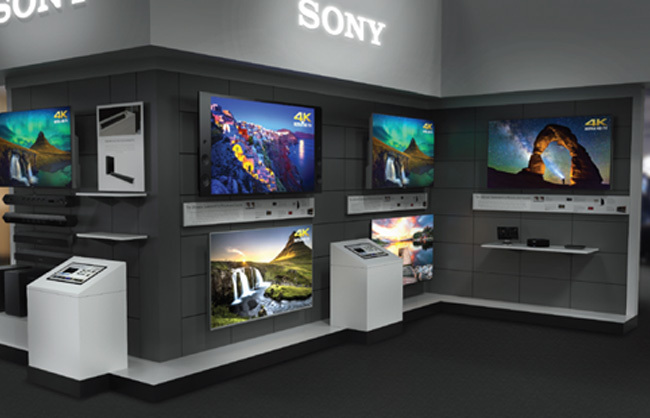 Sony Electronics - Requests assistance to add new section at ABT Store in Glenview, IL. 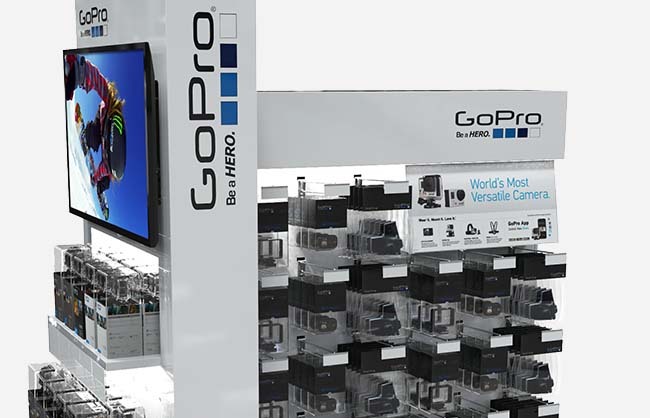 Wanted to expand wall by removing audio visual mounts and expand Sony Wall for additional merchandising of sound bars and products. 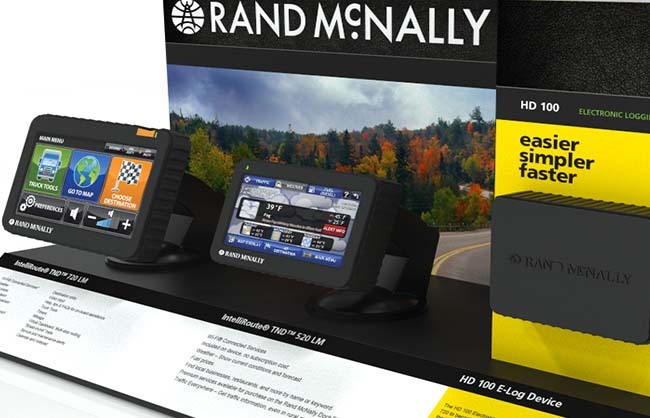 Rand McNally asked AMD to develop an end cap display to highlight their line of Truck GPS and Fleet Management devices. 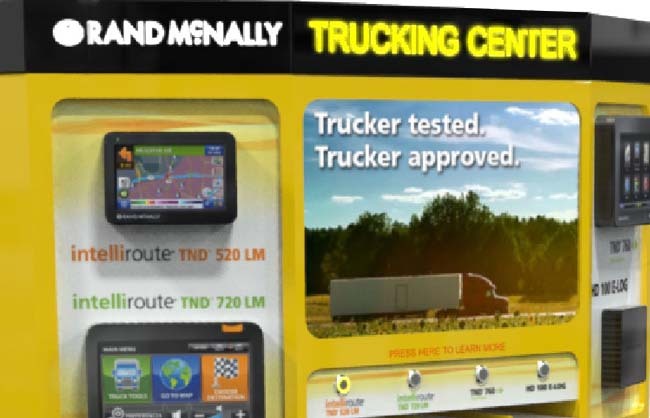 The display was placed in over 180 Travel Center of America locations across the country. 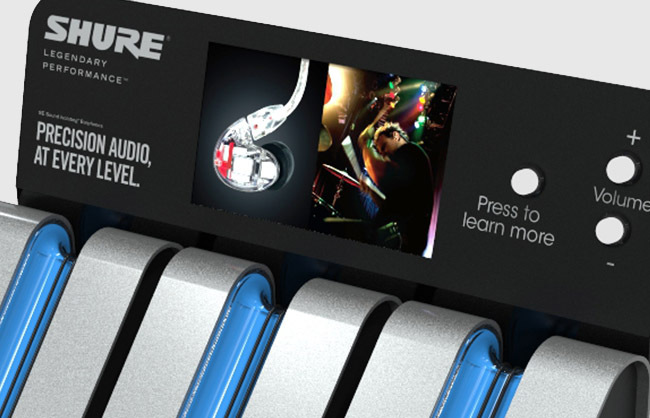 Shure needed a Counter Top Display to show their line of Sound Isolating Earphones at Independent music stores. 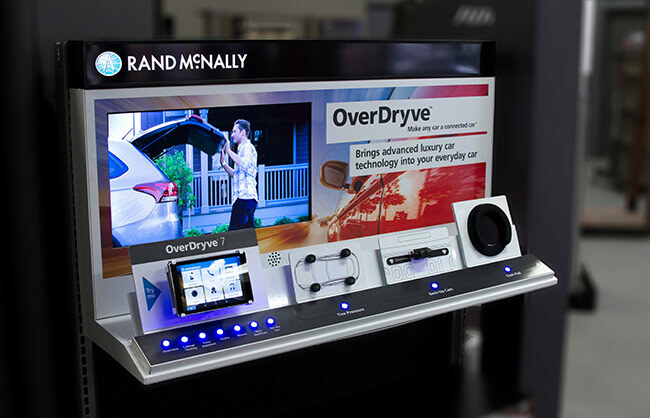 But unlike in the past, they wanted the consumer to able to demo the earphones with their own music device. 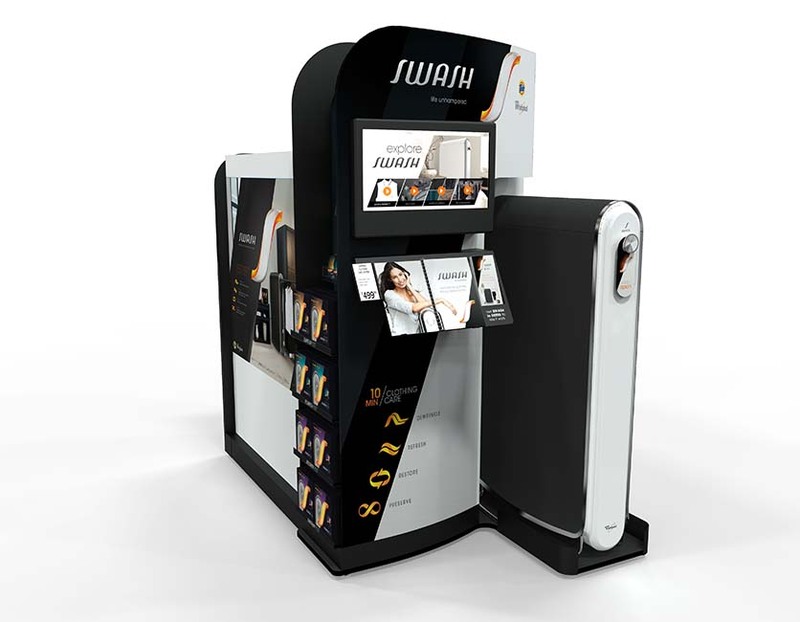 They were afraid that consumers would not want to use the earphones if another person had used them. 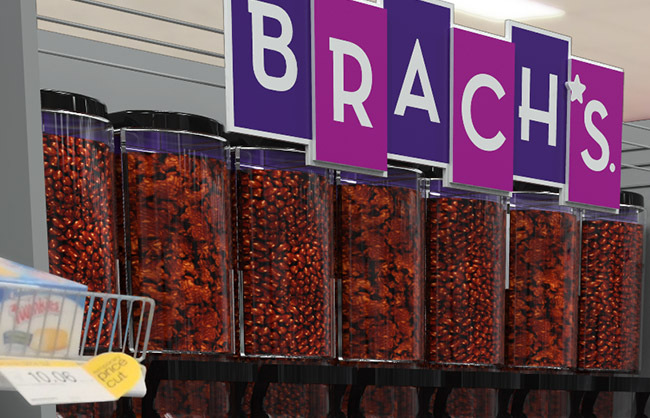 This Grocery Display is an in-line category management system for Brach candies that organizes a full range of candies for custom assortments. 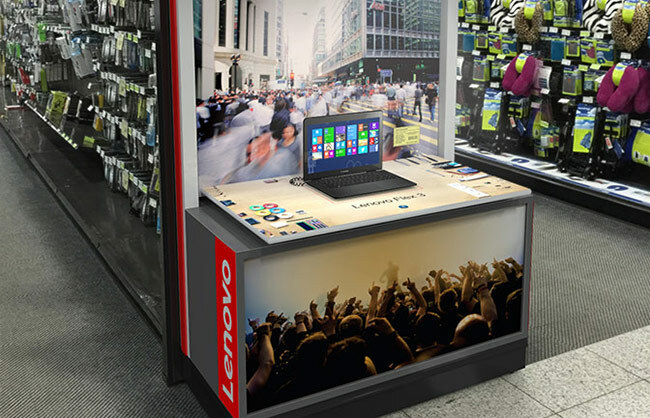 Lenovo asked AMD to design a display allowing consumers to interact with an image projected onto a table-top surface while highlighting the different modes of Lenovo convertible laptops.